It’ll come as no surprise that, at HomeViews, we’re big believers in the power of reviews. From booking a holiday to choosing our next smart phone, so many of us rely on the experiences of others to help us with our decision making. So why should choosing a new home be any different? It’s really important that our visitors know that what they’re reading is trustworthy. That’s why we aim to verify every single resident that leaves a review on the site – whether it’s an owner or a tenant. We have a number of ways to do this, from setting up verification codes to requesting proof of address. We also partner with a tech company that can check online records to help us verify a resident. You’ll recognise a verified review from the label and the little green tick. That’s transparency you won’t find on any other site. 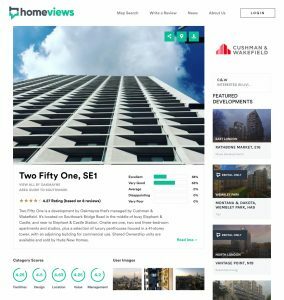 On HomeViews, we ask for ratings across a number of different areas – Location, Design, Facilities, Value, Management – and we ask for an Overall scoring. If you take Google and Facebook as examples, any property reviews submitted via these platforms are restricted. For starters, they only allow for a single rating, they offer just one free-text box, and absolutely anyone can leave a review so long as they have an account, so there’s no way of sorting the fakes from those that are truly genuine. By capturing additional ratings HomeViews allows for a much more rounded picture of the development in question. It all adds up to help you make one of your biggest decisions – where to live. On a development page you’ll see reviews and ratings that relate to that development, along with a clear label of who’s responsible for it. This could be the developer/builder or an operator. 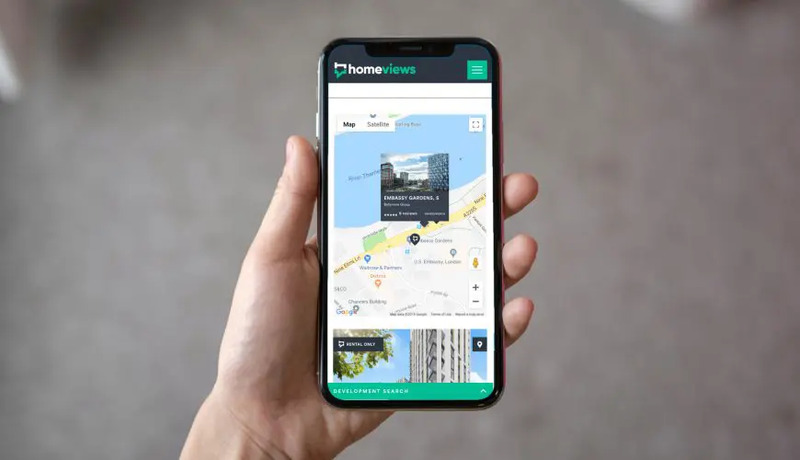 Click on the name displayed, and you’ll be taken to a page dedicated to that particular developer, which includes a summary of the overall ratings assigned to it across any listed developments. No other site out there lets you explore the ratings for each individually. Whether you’re looking to rent or buy it’s easy to discover the best places to live, as rated by HomeViews residents. Pop over to our Map page and you can click ‘All Developments’ to see our highest-rated listings. The ‘In Construction’ tab allows you to check out developments still being built. Top tip – read reviews of developments by the same developer to get an idea of residents’ experiences. You might decide to buy off-plan as a result to make sure you don’t miss out! Renting? Filter by ‘Rental Only’, and then ‘Sort by Score’ to see our highest-rated Build to Rent developments. We give developers and building management teams a log-in, so they can let their residents know that they’re paying attention to feedback. We can also set up notifications so they’re alerted each time one of their properties is reviewed. If you’re a current resident, leaving a review allows you to offer suggestions for improvements and praise what’s going well. As a prospective resident, you can read reviews from both owners and tenants and check out the management responses to see what the dialogue and service is like. By capturing a number of data points and qualitative data, we can produce detailed industry reports packed with information. We can also provide benchmarking and ranking details to support prospective residents and those in the business. We’re proud to say we’re creating standardised transparent consumer benchmarks for the first time, that the industry and the public can then use as measuring tools. It’s easy to come across horror stories in the press about nightmare house builders. But search for info and it’s not uncommon to be presented with glossy marketing brochures and agent adverts. 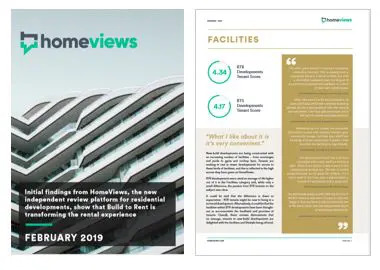 HomeViews is an independent platform providing honest and trustworthy resident insights. Allowing you to make up your own mind. You’ve read about why we’re different, now join the community! Click here to search for your development and leave a review.